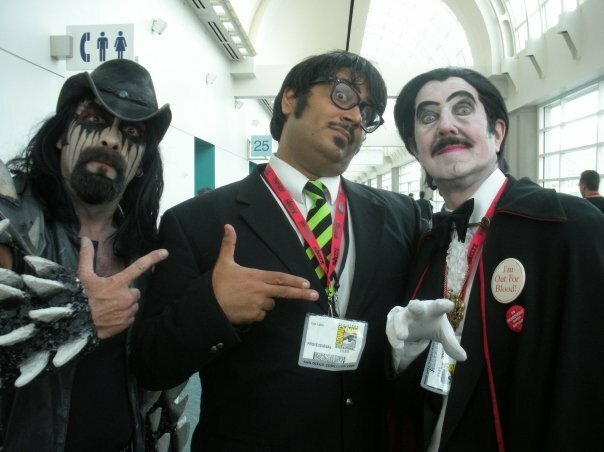 MR. LOBO was hoping this was going to be a popularity contest–but regrettably the RONDO Classic Horror Award is going to the most deserving host–SVENGOOLIE. We’d like to thank all the CINEMA INSOMNIA fans who threw their votes away over the past month. After 8 nominations Mr. Lobo was kind of hoping for a miracle. He did get “third-place” out of the SIX honorable mentions. Following the unsinkable WOLFMAN MAC who went off-the-air last year; and his charming pal–2007 and 2010 winner PENNY DREADFUL of SCHILLING SHOCKERS. And he is included in the good company of for 2004 winner and nominee DR. GANGRENE(who proudly displays the RONDO Ballot on his website); 40 year veteran and friend COUNT GORE DE VOL of CREATURE FEATURE who also this year won the Monster Kid Hall of Fame RONDO, and his bosom buddy and sometimes collaborator KARLOS BORLOFF of MONSTER MADHOUSE. ALL of these hosts are hard working–ALL of these hosts are deserving of a win. But for 2012 There can only be one “favorite horror host”. Right? One Best Picture. One “most refreshing” Cola. One flavor of the month. One ring to rule them all.Â Your fourth favorite horror host–Mr. Lobo–is just going to work a little harder to earn your favoritism this year. But for today it’s a pity party for one. Mr. Lobo has just finished his third extra-greasy breakfast with a slice of humble pie on the side and his going back to bed. Previous PostPrevious Does this 2012 show deserve a Classic Horror Award?